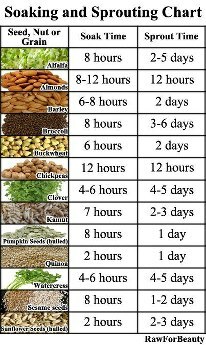 – Breaks down gluten so digestion is easier. – Removes tannins. Tannins, often referred to as an “antinutrient” is a substance found in plants, fruits and nuts, which aid in the regulation of plant growth and protect plants from predators, chemicals and harmful substances. 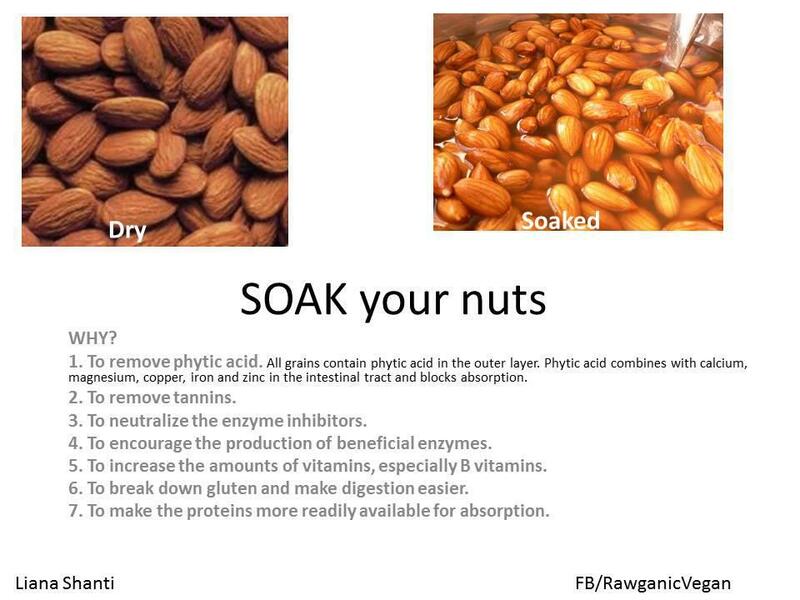 Soaking your nuts removes the tannin coating allowing for more absorption of minerals. It’s all about the minerals, people! 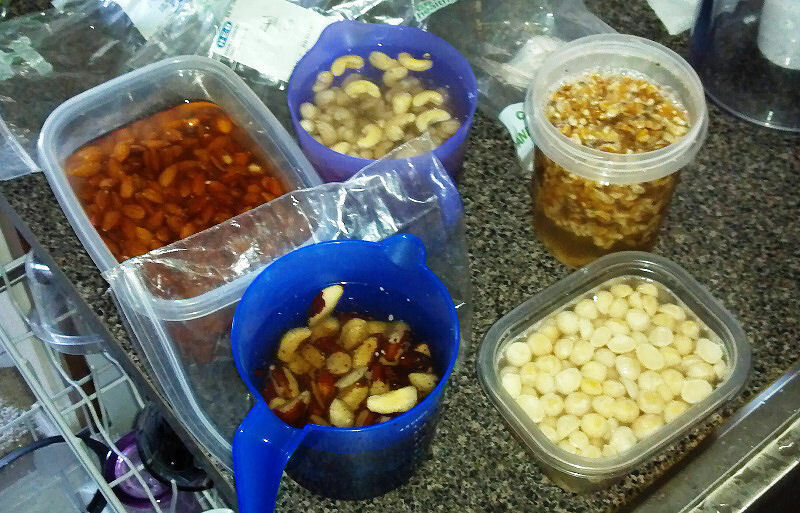 Nuts need to be soaked for certain amounts of time depending on what type of nut they are. After soaking you can then eat them moist, or dry them out in a dehydrator. 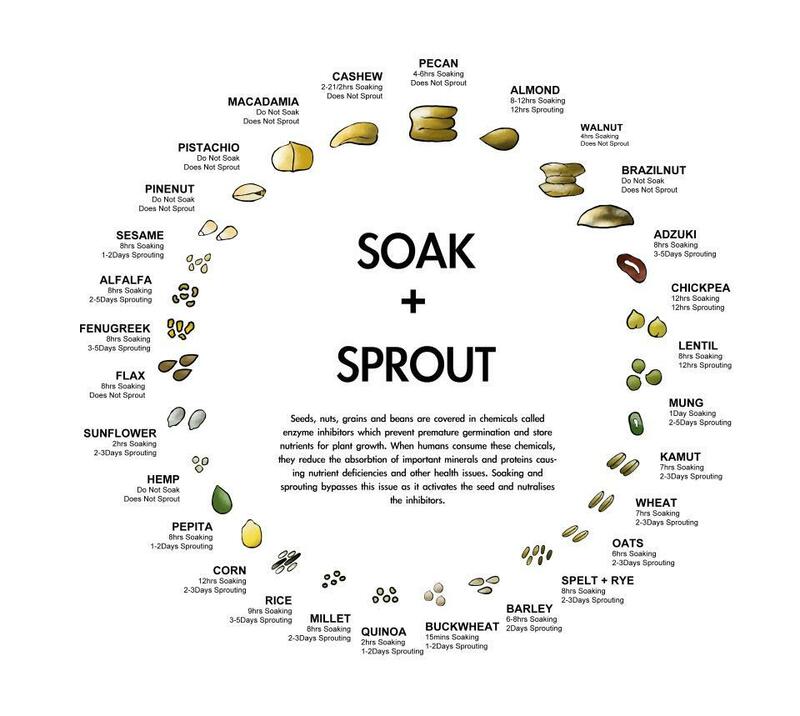 See http://www.foodmatters.tv/articles-1/the-benefits-of-soaking-nuts-and-seeds for more information.